Paulina and Bricia have some much needed real mom talk about normalizing breast feeding on this week’s episode. But first, Paulina starts it off by sharing the darndest things Krista has been saying recently, LOL. Sisters, please support Maricela and MOCA's petition of 1) securing proposer lactation rooms on campus, 2) advancing accessible childcare for parenting students on campus, 3) developing holistic reproductive support sources on UCLA's campus by clicking HERE. Also, read Maricela's blog post, here. Motherhood is hard enough as it is - we should support one another in the choices we make for ourselves. With that said, Paulina and Bricia go in-depth and unpack their own opinions about breastfeeding. 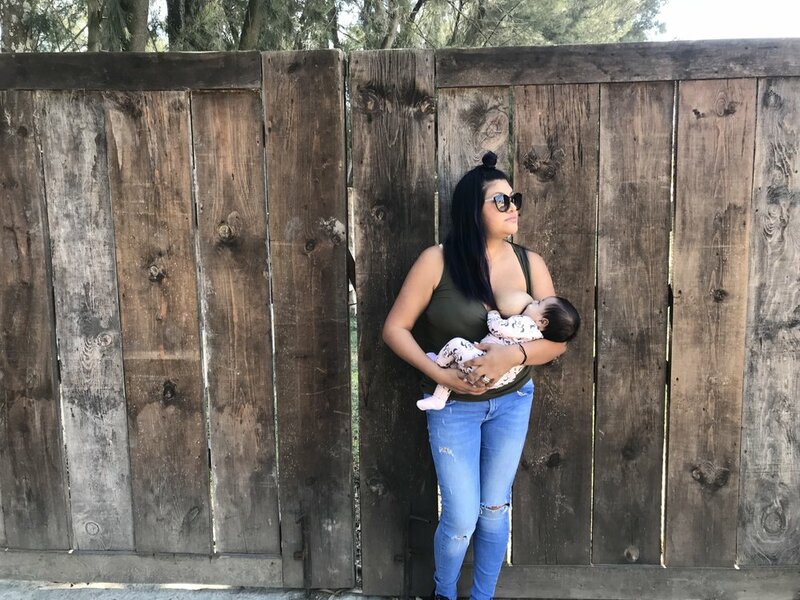 Paulina shares a couple of stories that compare her breastfeeding experiences traveling through Mexico and arriving in Los Angeles. They also discuss the difference between pumping and breastfeeding in public, the Times Up movement and Bricia's epiphany that women generally have less time than men. Don't forget, leave us a review and receive a Super Mama pin to add to your rad pin collection! Take a screenshot of it and email it to us at reviews@supermamas.com. If you've already left us a review before, upload in onto your feed or IG story, tag us and we’ll ship it over to you A$AP. Every Sunday Paulina and Sabina bond over making pancakes in the morning and most recently, Paulina has been making it a priority to count the number of cups, teaspoons and even pancakes on the stove to help Sabina with her early math skills. Find more resources on how to introduce your kids to early math and numeracy on the First 5 California Website. Bricia recently discovered Captain Fantastic on Amazon Prime. It's about a man who raises six (yes, six) children in the wilderness. It has an 83% on rotten tomatoes and Rated R.
Maricela's blogpost, “Somos mamás”: Mothers of Color in Academia de UCLA Advocate for Parenting Students"